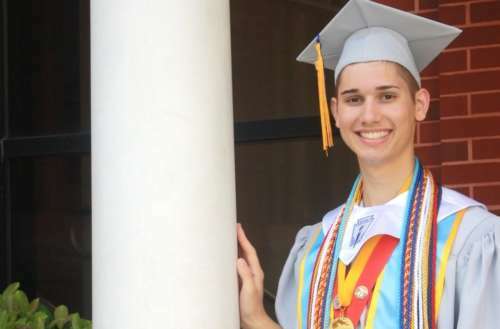 A gay teen whose parents threw him out of the house is getting a leg up on the future, thanks to a kind-hearted teacher. Jacksonville, Florida, senior Seth Owen was accepted into Georgetown University for the coming fall. 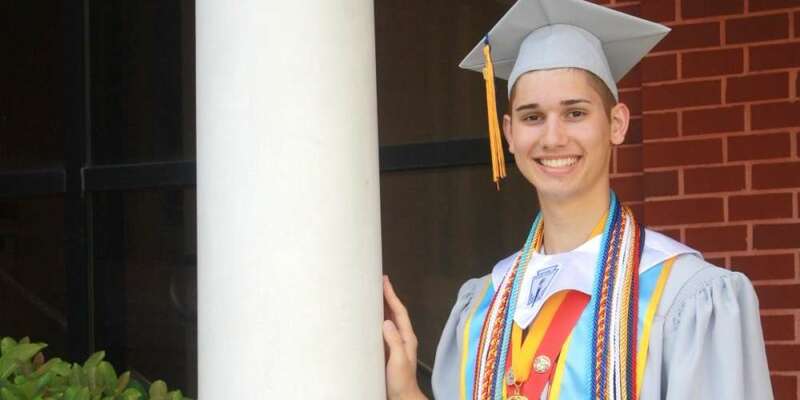 But the 18-year-old valedictorian, who has a 4.16 GPA, though he’d never be able to go after his Southern Baptist parents discovered he was gay and and cut him off financially. That’s when former biology teacher Jane Martin stepped in, launching a GoFundMe campaign for Owen’s educational costs that’s garnered more than $115,000 in donations so far. Thanks to generous donors, Seth will now be able to attend Georgetown. Owen says his parents learned he was gay in his sophomore year: “My dad decided to check my phone late in the evening. He found a damning photograph of me and another guy. Nothing inappropriate, but it clearly indicated that I was gay.” After that his parents sent him to a Christian counselor to “cure” him. 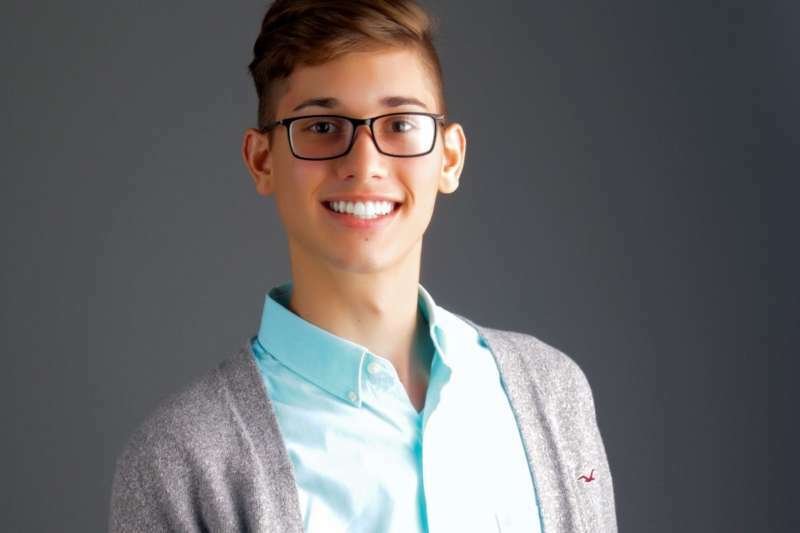 The arguments between the gay teen and his parents continued, often about how anti-LGBT their church was, until they finally gave him an ultimatum in February: Go to their church and get straightened out or leave their house. His mother didn’t try to stop him when he left. “I was hoping that she would say ‘I love my child more than I love my religion,'” he confessed. 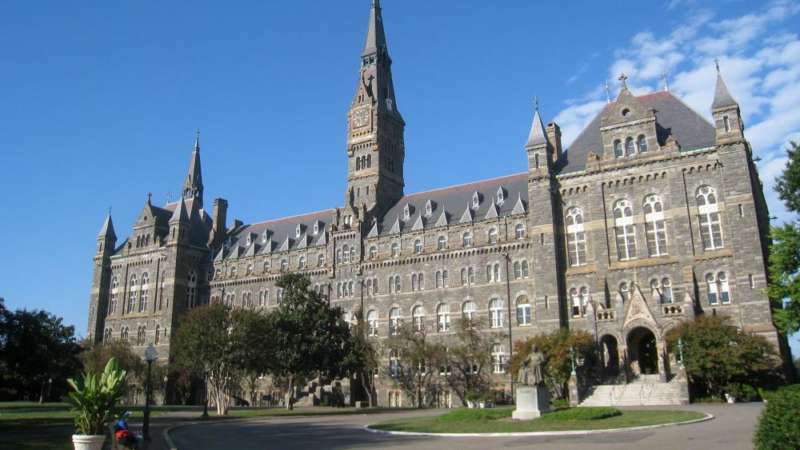 Owen was staying at a friend’s house when he got his financial aid package from Georgetown, and was devastated to learn he couldn’t afford to attend. After the amazing success of the campaign, the former teacher and pupil have decided to create a scholarship to help LGBTQ teens in similar straits. What can the LGBTQ community do to help gay teen students get to college when they’ve been rejected by their families?